Help Your Business Succeed with a Solid Roofing Logo! Make your roofing logo in just a few clicks with this amazing tool! You can also brand your roofing business easily with all of Placeit's design templates. Elevate Your Business with These Roofing Logo Templates! As a roofer, you should be prepared for any storm! Are you? 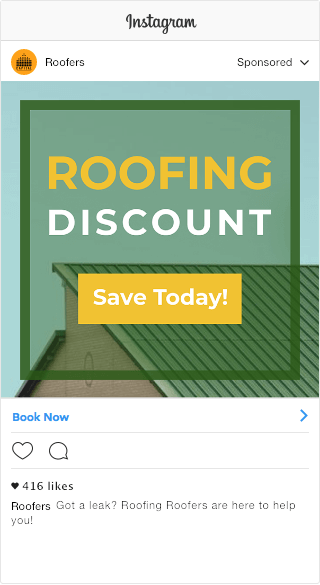 Marketing is a necessity when dealing with your own roofing company because how you advertise in the market, your social media, and your branding all say a lot about your business. Before even thinking about hanging a massive billboard with your number on it, you should take a look at your brand’s image and its consistency. Is your roofing logo saying what you are expecting it to say? What Are Your Roofing Musts? Be on top of every weather anomaly! You can follow storm followers like Hail Org., Interactive Hail Maps, Storm Site so that you can provide your services before a storm and localize the exact area. Pro Tip: Roofers work before a storm hits because after storm damages, households begin an eternal battle with their insurance companies and so your work gets delayed. Making your own luck! Partner up with insurance companies or at least get to know their business to know how to market yours. You must have at least basic knowledge of natural disasters in order to be able to provide and suggest the best work possible for consumers to protect their homes! Make yourself available as much as you can, emergencies are unpredictable. You can even partner up with some lawyers, it’s very common that your business as a roofer will be surrounded by other kinds of contractors, insurance company’s and lawyers so getting involved in good relations with all this will work as a benefit for you. Schedule your appointments by area, try to confirm your appointments before getting to a certain neighborhood, you could try an app for roofing leads if you are not sure how to contact your potential customers. Feedback! Every new customer is an opportunity to provide a great service and gather their feedback to improve your business. Remember there is no better advertising than word-of-mouth-marketing. Don’t let the new storms catch you unprepared! Create a solid brand before a blast of roofing work comes upon your business! Is your brand ready to market? To start, if you don’t have a logo don’t even try it. The most basic asset you should have with your brand is your logo! It will appear everywhere to advertise your business and it creates a cohesive visual identity. 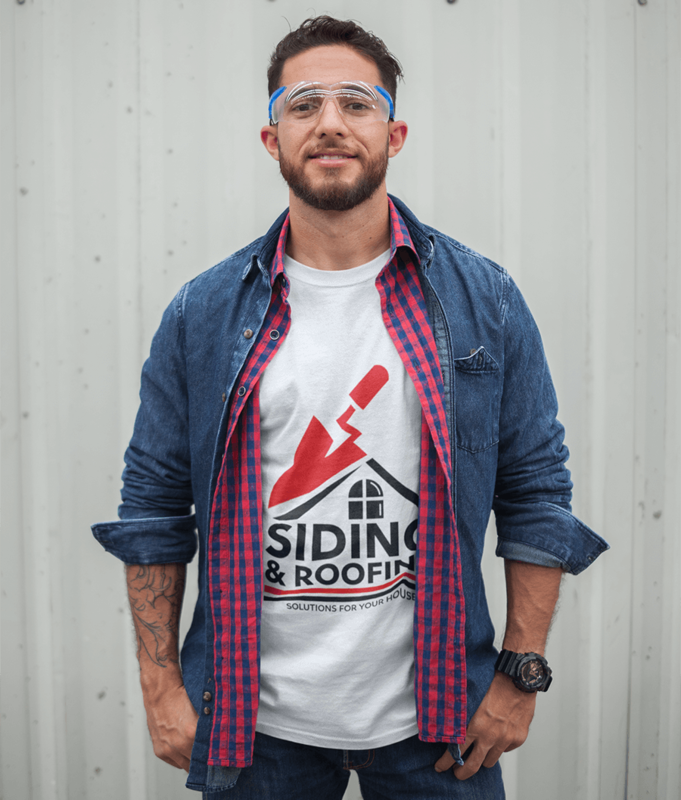 Now don’t get stressed out, making your own roofing logo is super easy! Just follow the next steps and give it a try! Build Your Website: If you are going pro, you might want to consider building your own quality website. With some basic skills, you can build your own web page in just a few minutes! You can try Envato Sites for example. Ranking in the top search position in Google is another story, this can be a challenge depending on the competition. The key is to have the website set up properly and use specific keywords in order to rank high in your local search engine results. 2. Roofing Flyers: place them in the right neighborhood. You can design your flyer as easy as you design your logo with Placeit’s design tool. Just pick a template and start customizing. 3. Reference Incentives: Offer current customers special discounts for referrals they give you, you could offer free gutter cleanings for example. 4. Free Online Listings: You can use sites like Google, Yellow Pages, Yelp, Craiglist and other similar websites. 5. Customer Reviews: Ask your current customers to leave an honest review for you! On your website, on Google, on your social media, any visible network you are using! 6. Social Media: There is no way around this! You can create Facebook Ads, you can also design great social media covers with your business logo and information and post social media images with your most recent jobs! Make a Roofing Online Ad! 7. Community Sponsoring: you can sponsor any local event to get your brand on everyone’s radar! Have your business cards and flyers ready to be handed out! 8. Diversify: You might want to think about expanding your service offer in order to create more job opportunities and avoid depending on one single roofing type of work. Placeit offers a world of possibilities to design your own images and videos to promote your brand everywhere with professional assets. Your business logo would be the place to start! Pick a template that you like and customize it as much as you need to get a personalized logo ready to be published everywhere with the highest quality! With Placeit, you can find all types of service logo templates, so let’s get moving! Start marketing your roofing company like a pro with a proper roofing logo! You can design it on your own in just a few clicks with Placeit's business logo maker. You can also make other branding assets to promote your company all with a single subscription! 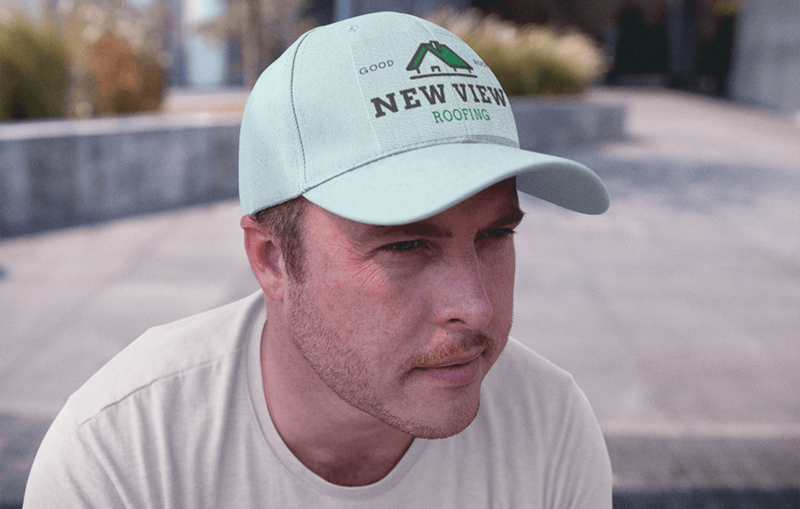 Make a Roofing Logo on Your Own! "Loved it! Thumbs up for Placeit's roofing logo maker!"